How does the weight or Volume of a controlled substance affect a drug sentence? One court just changed the rules in how prosecutors can use the weight of drugs against defendants like the fictional Walter White. The Urban Dictionary tells us that a "wannabe' is a person "who copies or imitates all or most of the aspects dealing with their idol." "The court found that since most of the substance was not usable by potential customers, there may have been an error in the weight calculation." The weight of the controlled substance has a dramatic impact on the sentence imposed upon conviction or a negotiated plea agreement. Harsh minimum mandatory sentences are meted out by courts when the weight exceeds certain quantities. Sometimes it might be a good idea to, "obtain an independent expert witness to analyze the liquids seized by police and to testify as to the amount of usable methamphetamine that could be produced from the liquids. 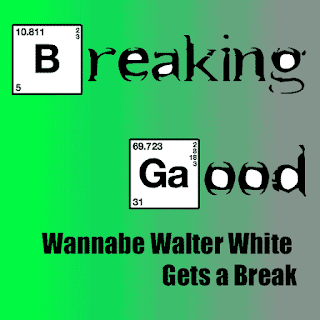 . . " This is the takeaway from a recent federal drug criminal prosecution of a would-be / wannabe Walter White. In an unusual fact pattern, the cops busted a guy who was in the process of making methamphetamine from pseudoephedrine. He used 2.4 grams of the precursor chemical, but was miraculously convicted of manufacturing over 50 grams of meth. The court found that since most of the substance was not usable by potential customers, there may have been an error in the weight calculation. In marijuana growhouse cases of manufacture of cannabis, police labs weigh the whole plant including the roots. In cocaine cases they weigh the powder including substances used to cut the drug. In Oxycodone cases they weigh the entire pill, even though it may include inert substances like acetaminophen. This decision may be limited to manufacture of controlled substances in a "laboratory" environment, since convictions for weed, coke, and oxy seem to still be intact. "The superseding indictment charged Griffith with manufacturing 50 grams or more of a mixture or substance containing a detectable amount of methamphetamine, in violation of 21 U.S.C. § 841(a)(1)"
"For a manufacturing methamphetamine offense, the total amount of the drug generally determines the penalty range, which is set by statutory minimum and maximum. See 21 U.S.C. § 841(b). If a defendant has a prior conviction for a felony drug offense and “50 grams or more of methamphetamine . . . or 500 grams or more of a mixture or substance containing a detectable amount of methamphetamine” were involved in the current offense, the range is 20 years to life." "the entire weight of the liquids attributed to him should not have been included in calculating the drug quantities"
What Happens When Illegal Drugs are Mixed with Other Unusable Substances? "the liquids used to calculate his drug quantities were “unusable” toxic materials from the manufacturing process, and that he started with only 2.4 grams of pseudoephedrine and it “is impos[s]ible to turn 2.4 [g]rams of [p]seudoephedrine into more than 2.4 [g]rams of [m]ethamphetamine.”"
"we must accept that unusable liquids were counted in calculating the drug quantities that determined his mandatory minimum sentence and his advisory guidelines base offense level. We must also accept for present purposes that the liquids could not have produced any more than 2.4 grams of methamphetamine." "The minimum amount of methamphetamine required for the jury to convict, as it did, under Count 1 is only a “detectable amount.” Griffith has always admitted that he had manufactured a detectable amount of it, and the evidence proved it. By contrast, the mandatory minimum sentence required a finding by the jury that Griffith had manufactured 50 grams or more of a mixture or substance containing a detectable amount of methamphetamine, and Griffith has always disputed that he did manufacture or could have manufactured that amount." James Harold Griffith was convicted by a jury of manufacturing 50 grams or more of a mixture or substance containing a detectable amount of methamphetamine. After losing his direct appeal, he filed a 28 U.S.C. § 2255 motion to vacate his sentence, arguing that his trial counsel was ineffective for failing to argue that some waste materials in the drug manufacturing process should not have been included as a “mixture or substance” in his drug quantity determination, a determination which triggered mandatory minimum sentences and also increased base offense levels under United States Sentencing Guidelines § 2D1.1. After an in-depth review of the Supreme Court law, Eleventh Circuit law, and relevant guideline amendments dealing with the meaning of “mixture or substance” as used in 21 U.S.C. § 841(b), which sets a defendant’s base offense level based on “the entire weight of any mixture or substance containing a detectable amount of the controlled substance,” the Eleventh Circuit reversed and remanded for an evidentiary hearing. The Court wrote that its precedent is clear and was clear at the time of Griffith’s sentencing that the entire weight of drug mixtures which are usable in the chain of distribution should be considered in determining a defendant’s sentence, but only when the mixture can be consumed along with the controlled substance by the end user. Otherwise, unusable parts and waste products that must be separated from the controlled substance before the controlled substance can be consumed are not to be considered in the calculation of a defendant’s sentence. The Eleventh Circuit held that Griffith had made out a prima facie case that his counsel was ineffective in failing to present this case law to the sentencing court, and that there was a reasonable probability that he was prejudiced by counsel’s ineffectiveness. The Court thus remanded his case to the district court, where he would be allowed to prove the truth of his allegations at an evidentiary hearing.